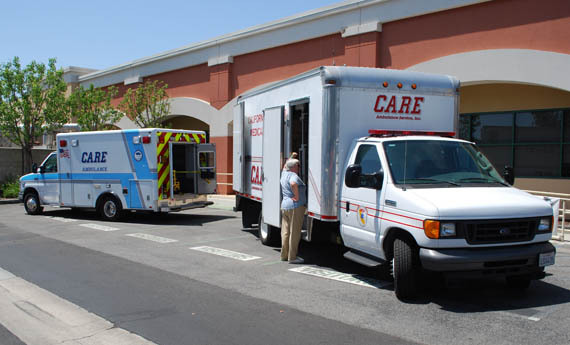 Care Ambulance hosted the event in its headquarters conference center and showed off some equipment. Paul Broden K6MHD operates the "talk-in" station in the Care Ambulance command center, which is equipped with two Amateur Radio VHF/UHF antennas. 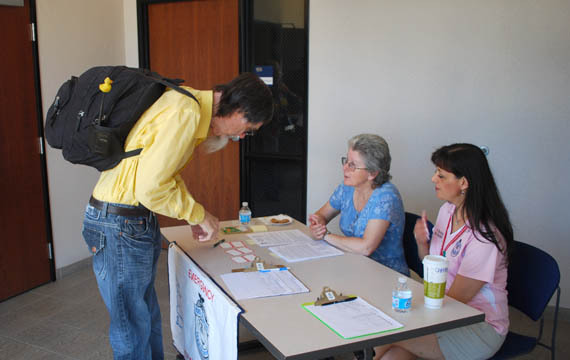 Michelle Wagner and Chris Sanders KE6BRY welcomed visitors and signed them in. 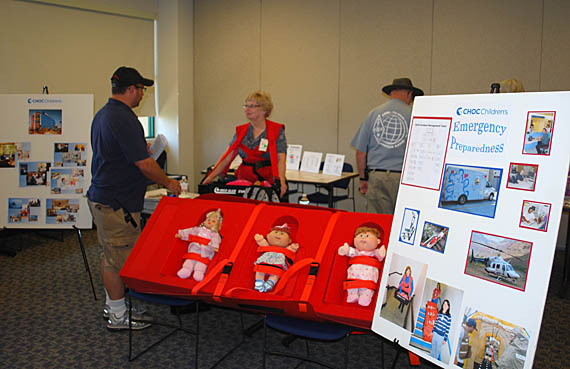 Barbara Prince, the Director of Safety, Security and Emergency Management at Childrens Hospital of Orange County, demonstrated new methods for rapid evacuation of infants and children. 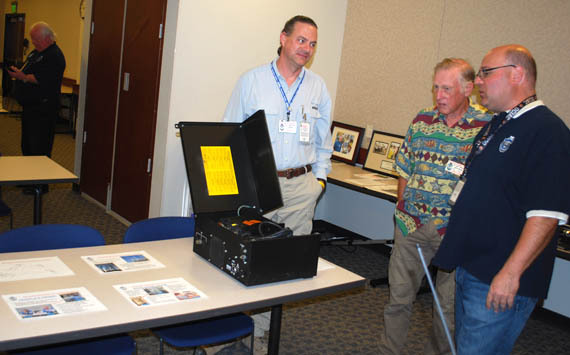 Tom Gaccione WB2LRH (at right) showed portable UHF repeaters that can provide point-to-point voice communications over a hospital campus area. 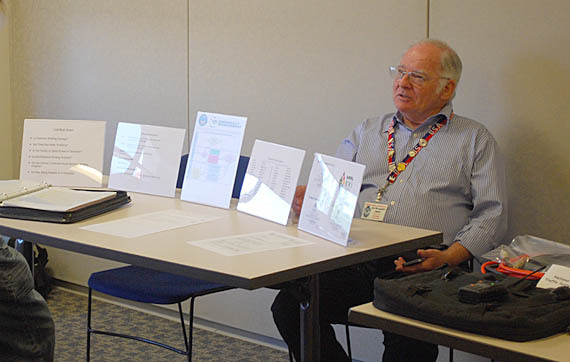 A display by Jim McLaughlin AB6UF explained how Amateur Radio can send medical messages internally and externally for hospitals. 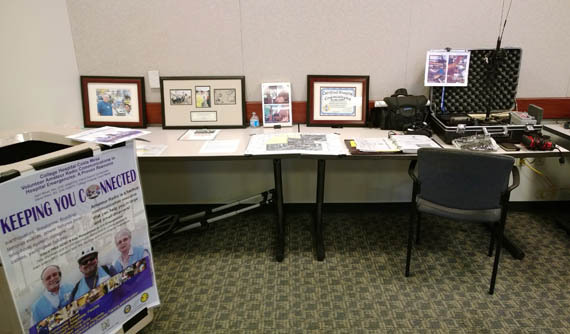 This informative display was provided by Dave West KI6EPI, who is a HDSCS member and also the Director of Laboratory and Cardiac Services at College Hospital in Costa Mesa. 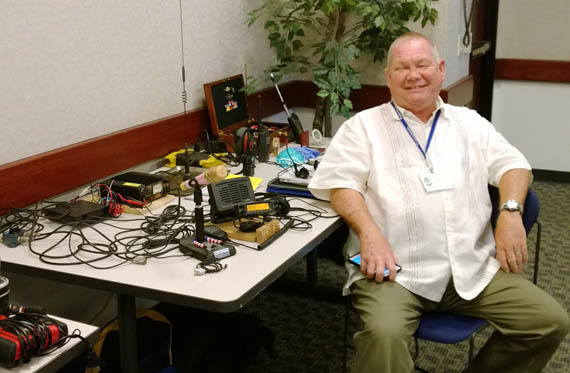 Jon Schaffer W6UFS showed some of his portable equipment and talked about how it is used. 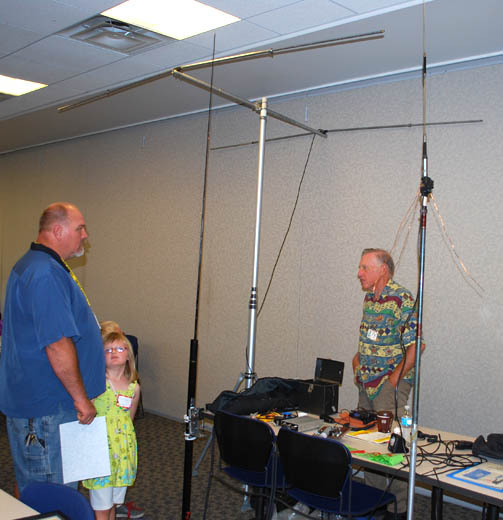 Tom Hall N6DGK showed portable antennas that can provide local and long-distance communications. 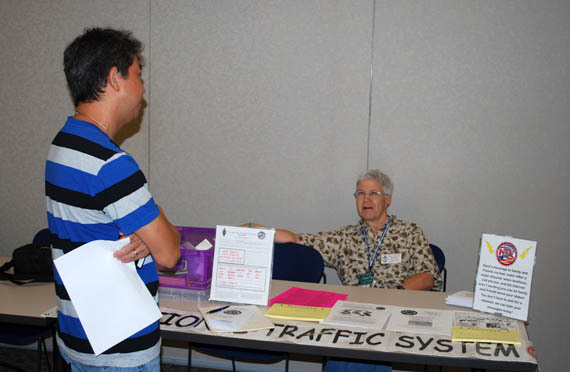 Kate Hutton K6HTN, a Special Advisor to HDSCS, provided information about the National Traffic System for relay of messages by Amateur Radio. 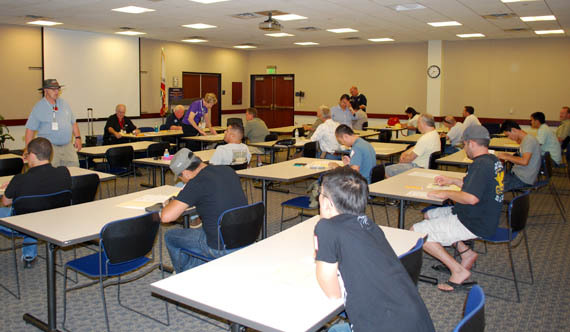 Eighteen persons sat for Amateur Radio license tests. 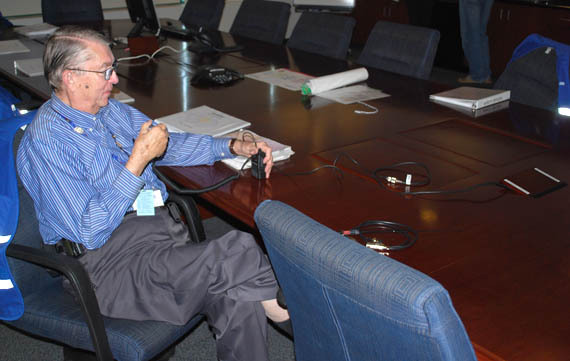 Ken Simpson W6KOS led the testing team, which included Tom Gaccione WB2LRH, Rebecca Katzen KI6OEM, Dave Reinhard KJ6REP, Gene Thorpe KB6CMO and Richard Thompson W6IW.